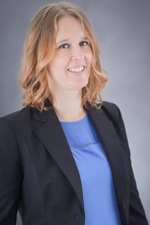 Ms. Elissa Becker is a paralegal who primarily assists attorneys in business litigation. She handles the full range of paralegal duties including: drafting pleadings, discovery and settlement documents; conducting analysis of document productions; and legal research. In addition, Ms. Becker is experienced with eDiscovery and a number software programs including Relativity, CaseLogistix and Case Notebook. Ms. Becker joined Hinshaw & Culbertson LLP in July 2017, with over a decade of law firm experience, both as a legal assistant and paralegal. Prior to joining Hinshaw, she was a paralegal at a litigation firm in Minneapolis, focusing in assisting a group of attorneys practicing in the area of insurance defense litigation. She also worked at several firms throughout Minneapolis and St. Paul assisting attorneys in a variety of paralegal and administrative tasks.